A Water Institute and Ambisense collaboration has been awarded the Enterprise Ireland Small Business Innovation Research fund (SBIR). The fund will allow this venture to conquer the Smart City challenge of identifying, communicating bathing water quality to the public. The Water Institute intend on developing further their Coli sense field test equipment. Created and designed in DCUs Water Institute by Dr. Ciprian Birciu under the supervision of Prof. Fiona Regan, Coli sense can be used as a indicatory measure of E. coli in Bathing Water. The Water Institute in DCU have teamed up with Ambisense who are an innovative company and at the forefront of what they do to develop and design a chip to ping results from Coli sense to social media and beach websites. CEO of Ambisense Stephen McNulty attended the award ceremony where all awardees gave a 2 minute pitch on their product or service. 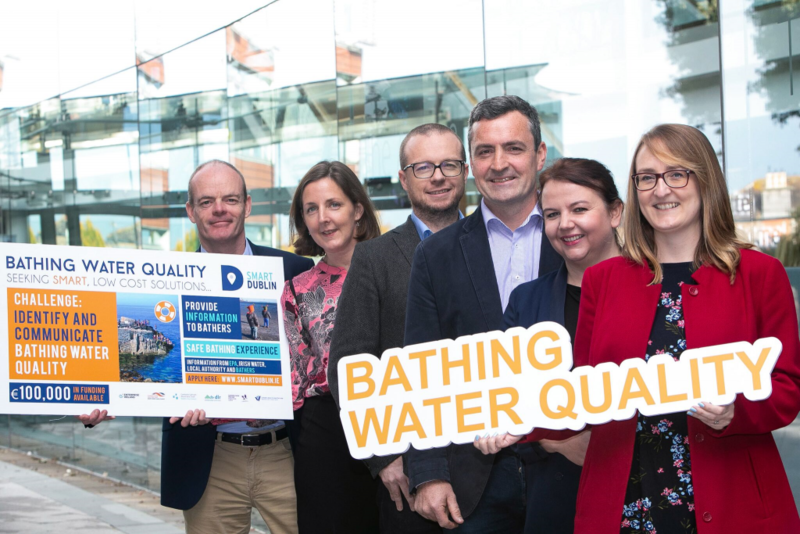 The Water Institute and Ambisense will be trialling this with the co funders of this project Waterford City Council and Dun Laoghaire Rathdown County Council over the forthcoming weeks.